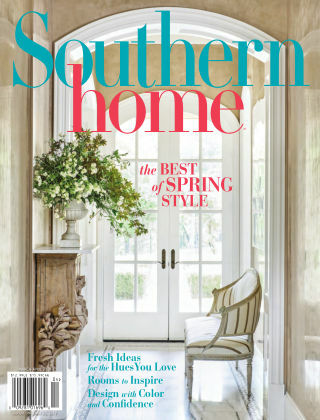 With Readly you can read Southern Home and thousands of other magazines on your tablet and smartphone. Get access to all with just one subscription. New releases and back issues – all included. Founded in 2015, Southern Home showcases beautiful homes that will appeal to every design aesthetic. We canvas the Southern states to bring you some of the area’s most inviting and interesting homes, as well as the talented architects, designers, and homeowners behind them. Tour the South’s finest homes filled with art, antiques, collections, and family heirlooms. The heart of a home is defined by the people who live there, and one of the most beautiful things about these pages is the artistry and vision behind the photographs you see.